These are the days of Mad Men and lots of Winogrand’s pictures document the style of the times, but the pictures are interesting more for the expressions than the clothes. There is a passion on view that comes, I think, not just from the photographed but also from the photographer. 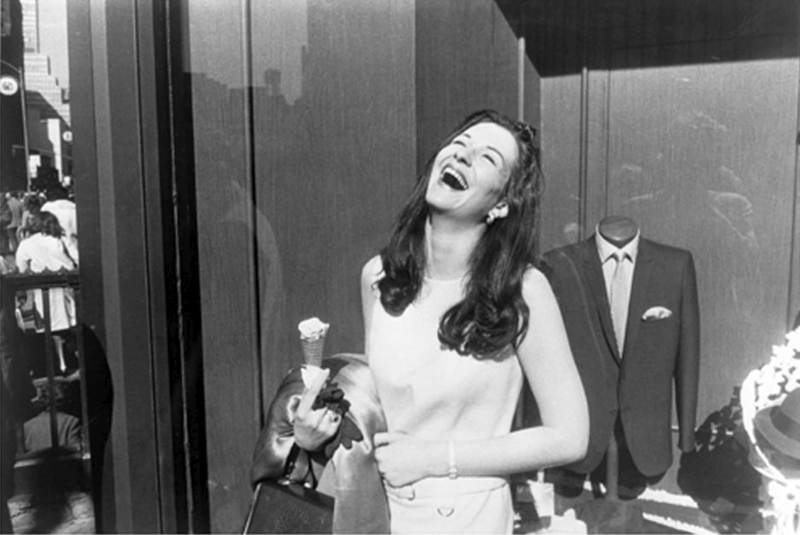 It’s Winogrand’s obsessive recording and editing that presents us with public laughter and passion. 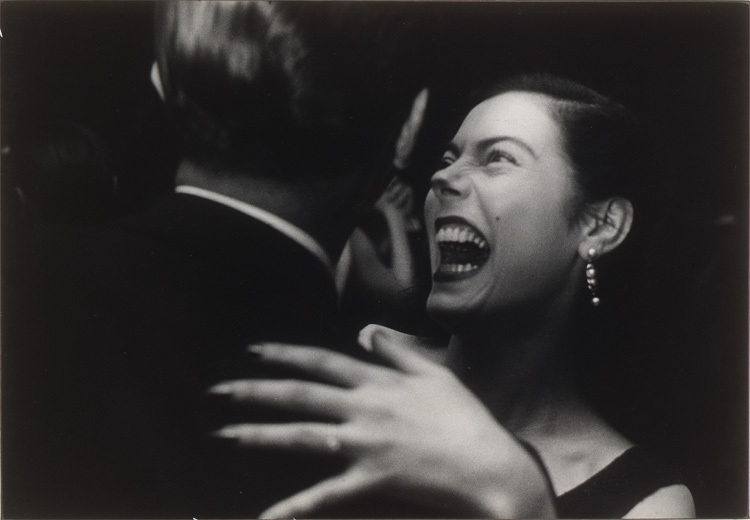 People are caught in unguarded moments – laughing, dancing, talking – often apparently oblivious of Winogrand’s camera. Though many of the pictures feel familiar – there are situations we recognise from life and times and places we recognise from film and television – there are also pictures that feel bafflingly unfamiliar. 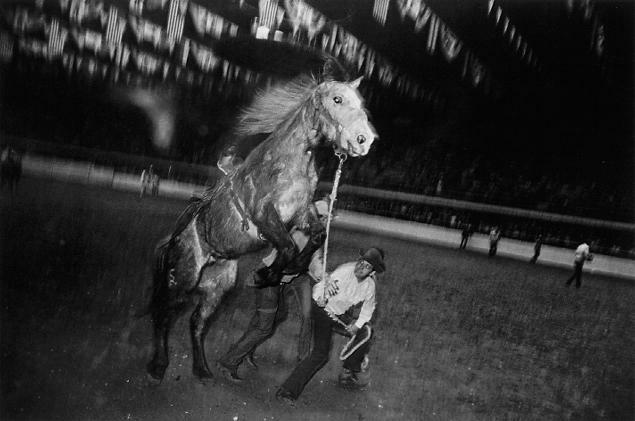 The rodeo horse in Fort Worth seems to be laughing every bit as hard as the woman in New York City. 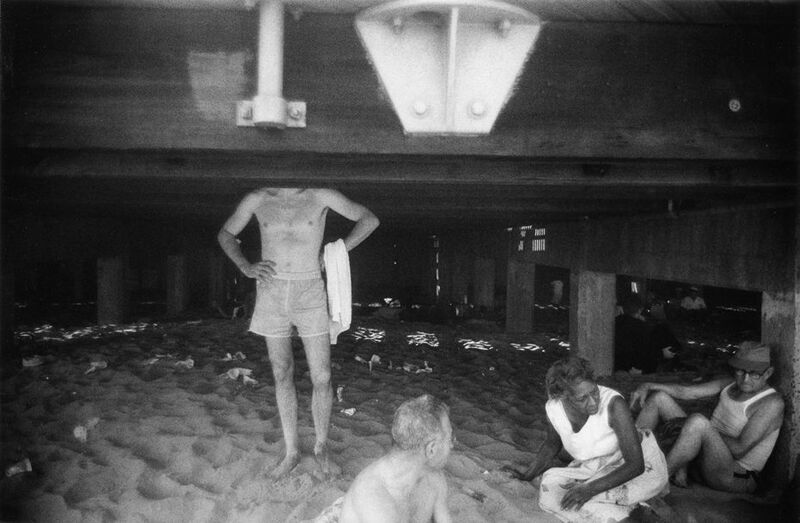 We can only imagine the what the people hanging out at Coney Island are doing under the pier at night. It is of course the nature of street photography – and much of Winogrand’s work can be seen as such – that narratives are suggested. In much the same way as we people watch in public places, imagining we can somehow fill in details about the lives of those around us based on our own prejudices and preconceptions and random snippets of overheard conversation – clearly not an exact science – we scour pictures like these to reinforce whatever opinions we may have of their maker and to look for hints about the lives of their subjects. 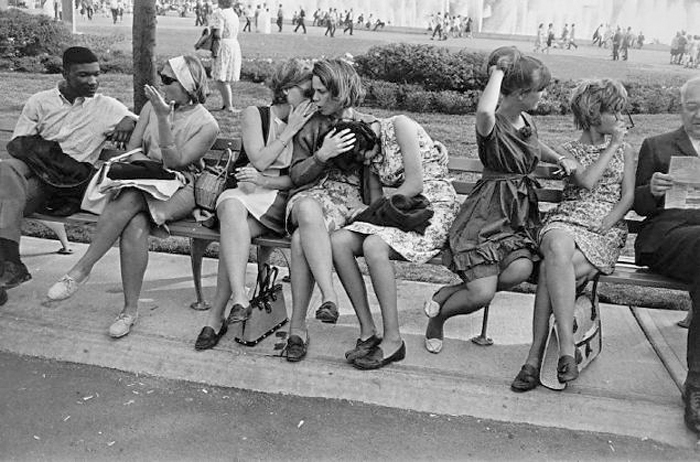 Winogrand’s subject matter was wide-ranging. He photographed dancers at nightclubs, politicians at rallies, strangers on the street and pretty much any other aspect of American life he could. Accordingly, his work forms a fairly comprehensive picture of mid-Twentieth Century life in America, telling stories both familiar and incomprehensible. That’s not really what engages me most though. Ultimately, it’s the way the passion seems to burst through the photographic surface. And of course the way that some of the pictures just make me laugh. 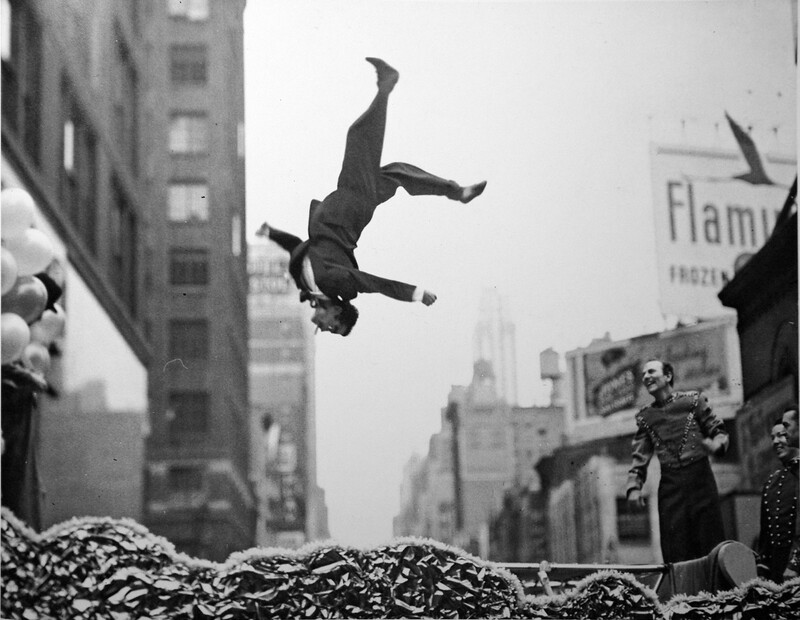 This entry was posted in Photography and tagged 1950s, 1960s, 1970s, art, El Morocco, Forth Worth, Garry Winogrand, New York, New York City, photography, street photography, World Fair by Ann Jones. Bookmark the permalink.